As a parent, I can totally understand the appeal of a teepee for a child – there are times when I also long for a quiet space to call my own to enjoy a few pages of a book or just admire my favourite things hanging out in the peace and quiet! 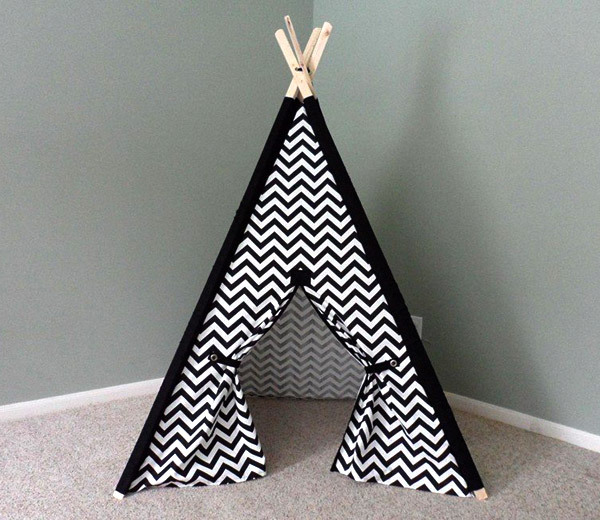 If you’re after a teepee for your little one (or yourself! ), we’ve found just the place. The Teepee Guy creates teepees in four different sizes from a 90 centimetre square base to a 147 centimetre base, prices start from $111. The Teepee Guy really does have all your teepee requirements covered – you can choose from stripes, chevron, prints or solid coloured material and you can even customise it to the point of choosing sleeve colour or having an initial appliqued on the front! 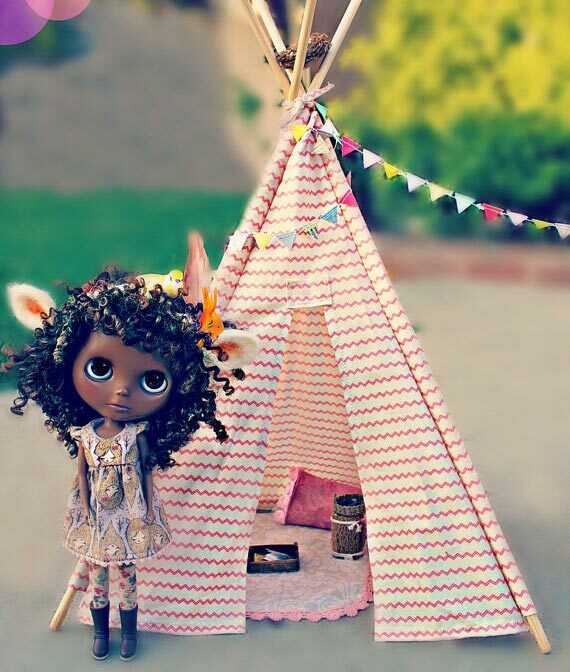 In the event you have a Blythe doll, a Barbie or any other toy small enough to enjoy a teepee, you can also purchase the most cutest teepee of all – a Miniature Toy Teepee (priced $44) that stands at 45 centimetres tall. Be sure to check out the vast teepee collection at The Teepee Guy store on Etsy. International delivery to Australia is available.